The inaugural Biennial Energy Report provides foundational energy data about Oregon. It also examines the existing policy landscape and identifies a number of options for continued progress toward meeting the state’s goals in the areas of climate change, renewable energy, transportation, energy resilience, energy efficiency, and consumer protection. The state’s first geothermal power plant began operating in 2010 at the Oregon Institute of Technology (OIT) in Klamath Falls, with an initial electricity- generating capacity of 280 kW. A second plant at OIT generates 1.2 MW of power. In 2012, a 28 MW geothermal power plant near Vale came online. Additional geothermal opportunities are being explored at Crump Geyser and Glass Butte in Lake County and at Newberry Crater. In the United States, most geothermal reservoirs are located in the western states, and Oregon has one of the best geothermal resources in the country. 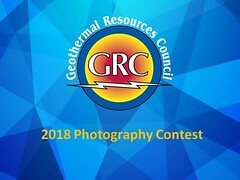 The U.S. Geological Survey’s Assessment of Moderate and High Temperature Geothermal Resources of the United States identified 595 MW of high probability capacity in Oregon from conventional geothermal resources. The same report also identified more than 43,000 MW of potential capacity in Oregon from enhanced geothermal systems (EGS). EGS requires the injection of high-pressure water to modify subsurface conditions to enhance flow and permeability. While the potential to develop EGS in Oregon is significant, the technology is still in the research and development phase, and the U.S. Department of Energy has targeted 2030 for commercialization of the technology.